The Vandoren V16 Alto Saxophone Reeds Strength 2.0 Box Of 10 is a box of 10 Alto Saxophone Reeds, made of bamboo, with an unfiled cut, and a strength of 2.0. 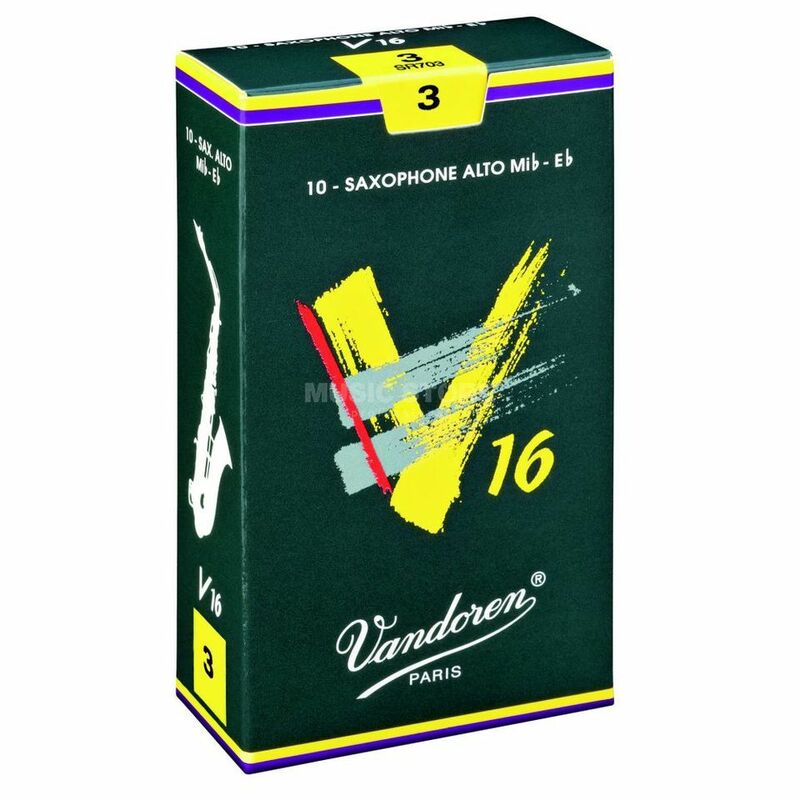 Launched in 1993 to answer the demand of some American jazz musicians (a JAVA with even more wood), the V16 has a thicker tip than the traditional Vandoren reeds and a longer palette. The sound from these reeds is more brilliant, more percussive, and particularly well adapted to all the new styles of music. V16 reeds have a medium-thick heart (more than JAVA but less than Traditionals), with a profile designed for producing a strong attack with a deep, rich sound.